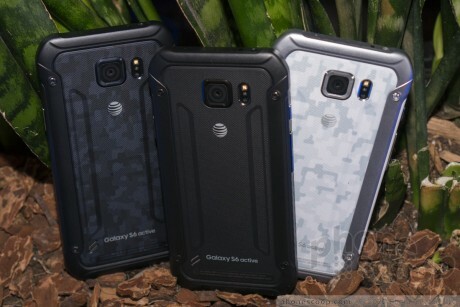 Samsung's newest semi-rugged handset, the Galaxy S6 Active, is a large and powerful phone. It's waterproof, dustproof, and comes with dedicated activity apps. Here is a first look. 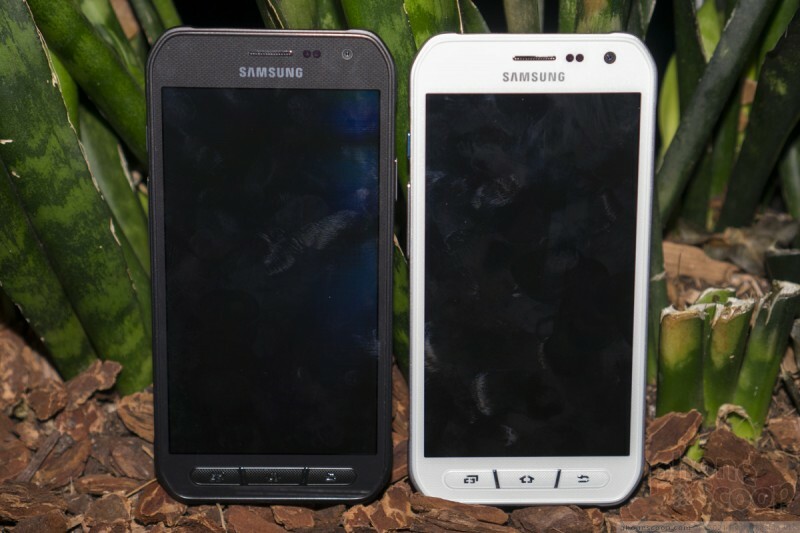 Samsung has another semi-rugged smartphone for AT&T this year and it's based on the company's flagship Galaxy S6 handset. The S6 Active features nearly all the same specs and innards as its less-rugged kin, but makes a few design changes to add some protection against abuse. 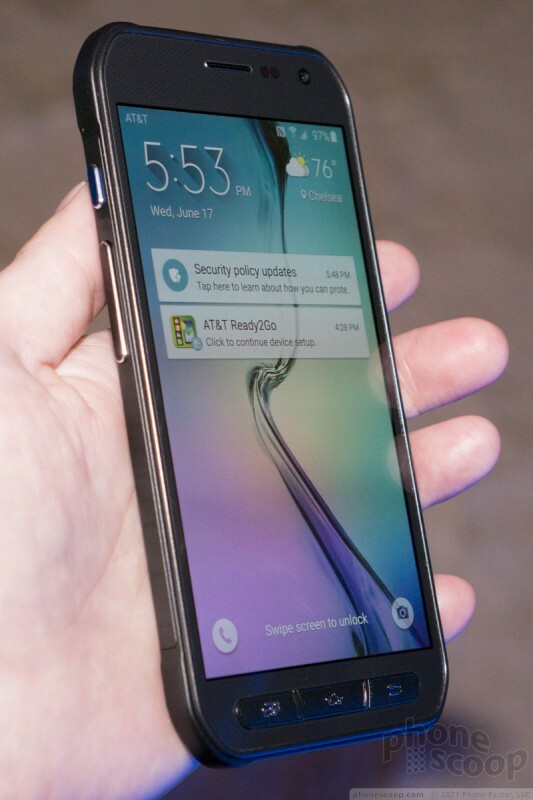 Gone is the metal and glass appearance of the S6. The Active still has an aluminum frame, but it is much more functional than the thin strip of metal found on the standard S6. The Active's frame is thicker and has a distinct design. 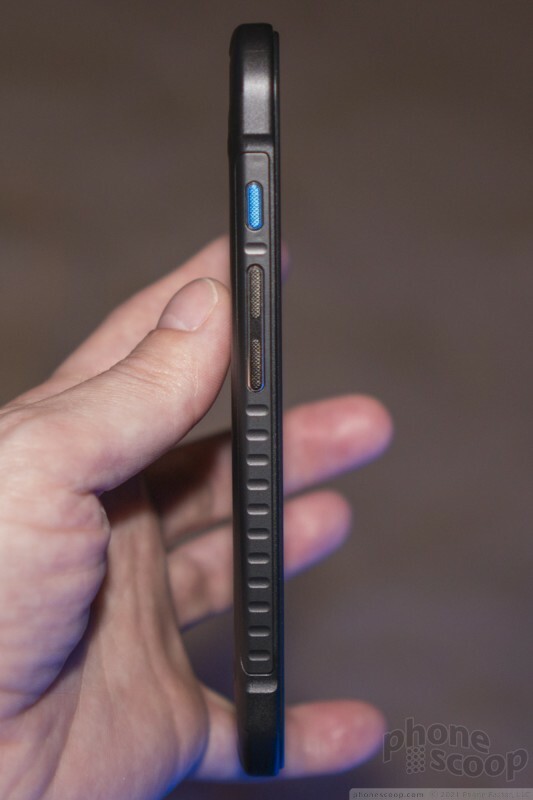 It forms a chunky border around the outer edge of the phone and helps protect the device from falls. 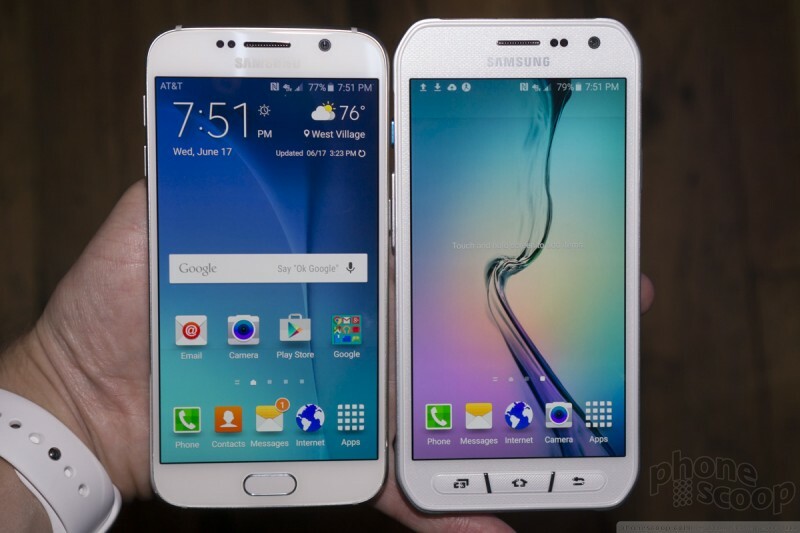 It adds plenty of bulk to the Active, which is noticeably bigger than the standard S6. There is plastic embedded in the sides of the metal frame. This is where you'll find the buttons and controls. The volume toggle is on the left side, as is a dedicated "Activity" key. All three buttons have fantastic profiles and excellent travel and feedback. They are easy to find and easy to use. 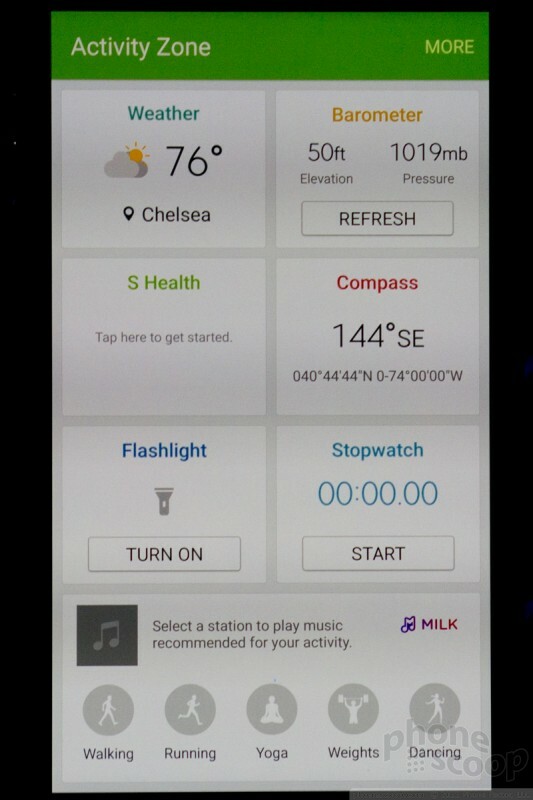 The Activity key, when pressed, will open the Activity dashboard, which has a collection of outdoorsy apps like the compass, step counter, weather, flashlight, and so on. A long press will open the music player, but you can program it to open anything. The power key is the only button adorning the right edge. Like the others, it has great travel and feedback. The right side also holds the SIM card tray. I like that you can use your thumbnail to dig it out, rather than be forced to rely on a paperclip. 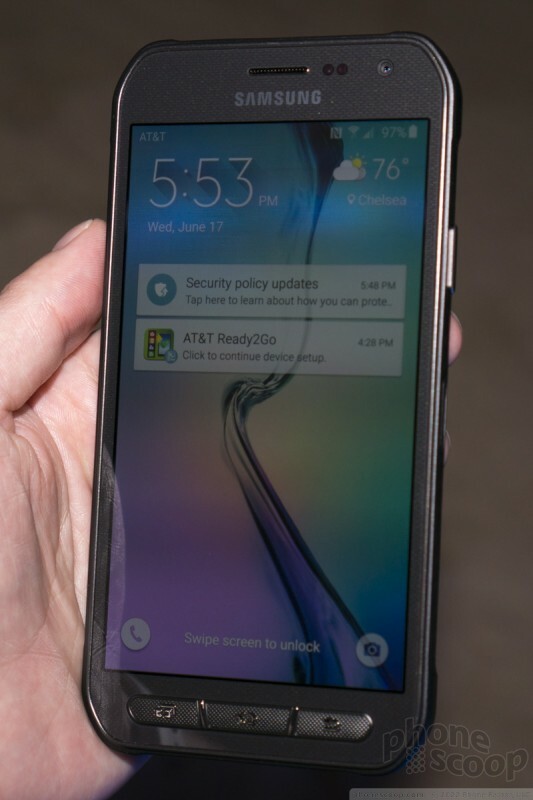 The front surface is made of Gorilla Glass 4, just like the standard S6. 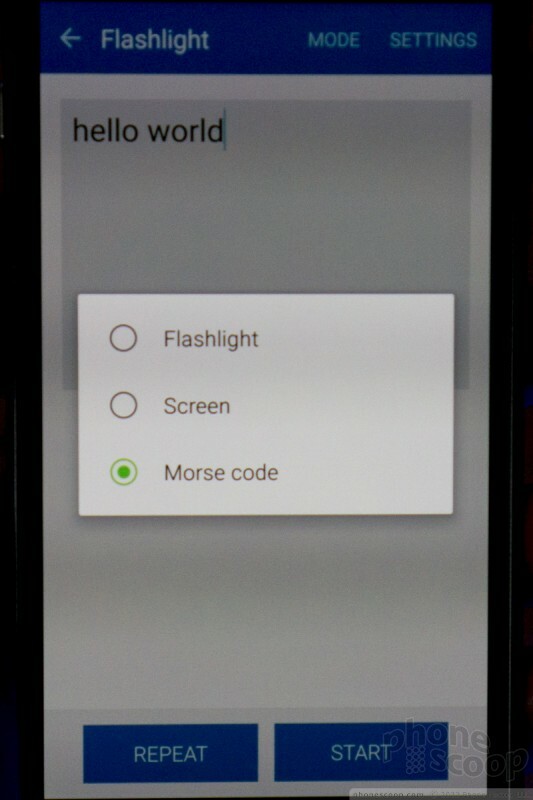 Rather than a single physical button and two capacitive buttons, the Active has three physical buttons. (Capacitive buttons don't work when wet.) The buttons are well defined and have good travel and feedback. I could easily find and use them without looking. 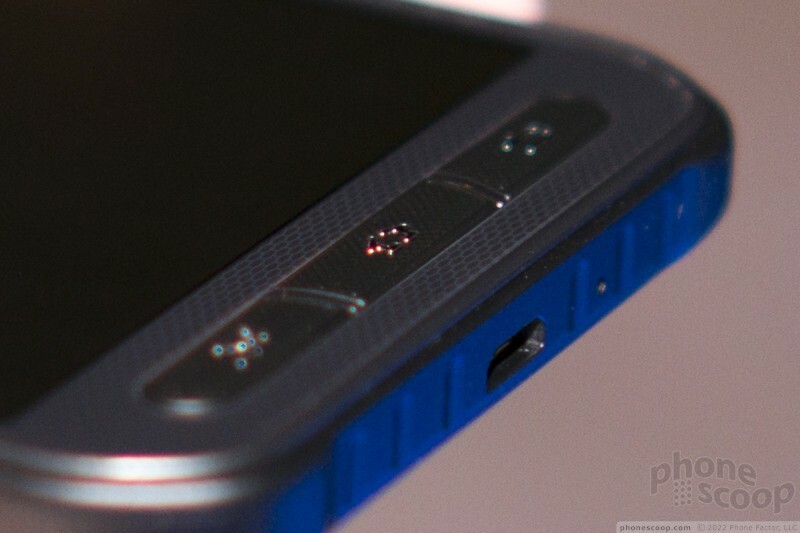 The central home button loses the fingerprint reader, which is a bummer. 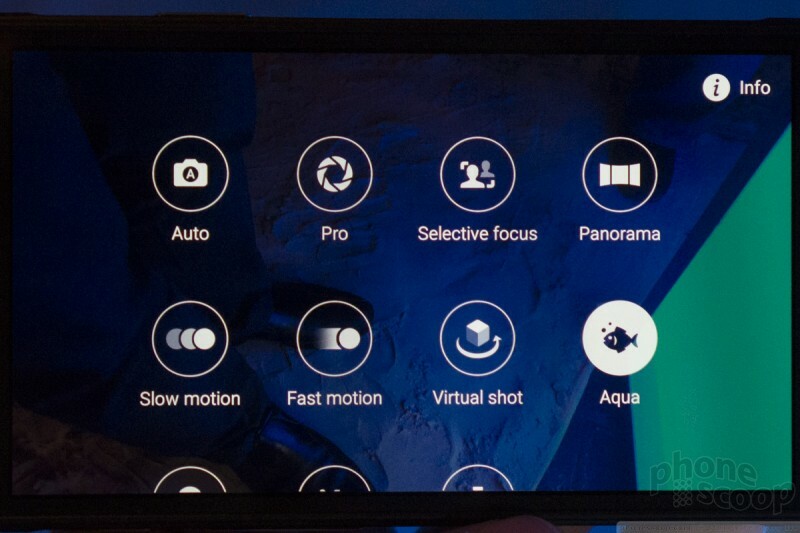 However, you can double-tap it to launch the camera. The Active trades the glass panel on the back for a polycarbonate plate. 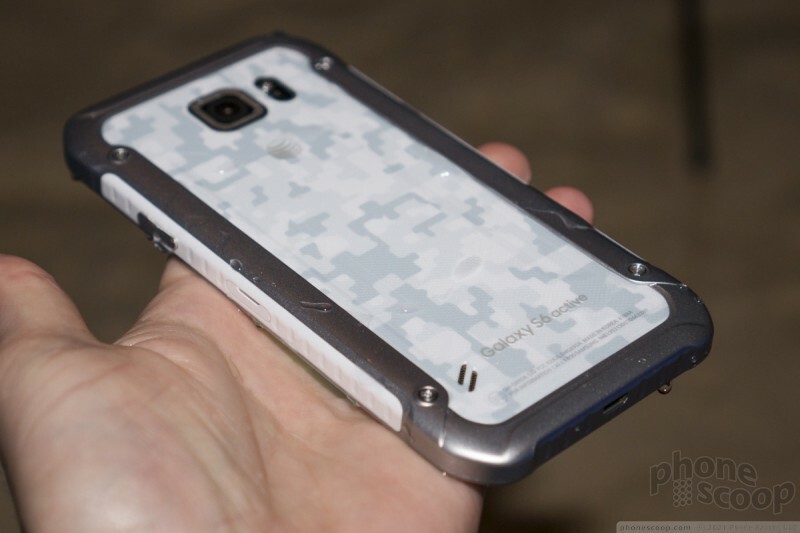 The plate comes in three colors: white camo, blue camo, or black camo. I think the black and blue colors look best, but there's nothing wrong with the white color. This rear plate is screwed into place. 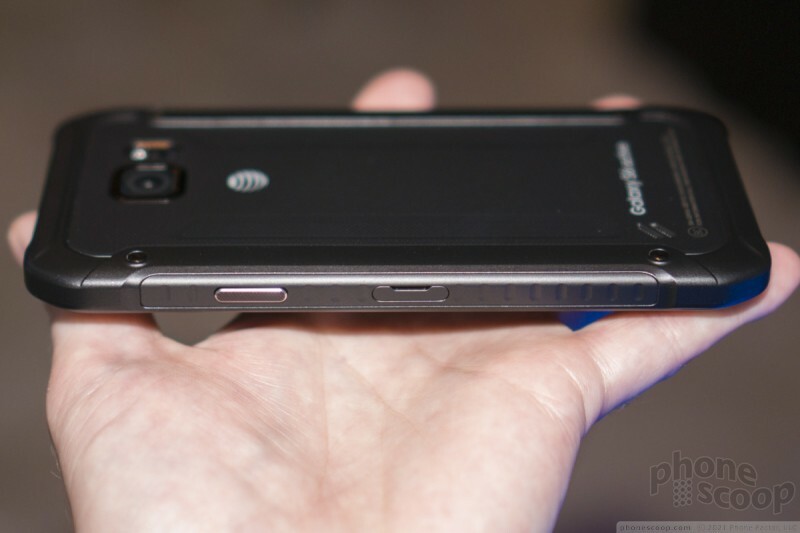 There's no removing the back cover, which means you're not swapping out the battery. 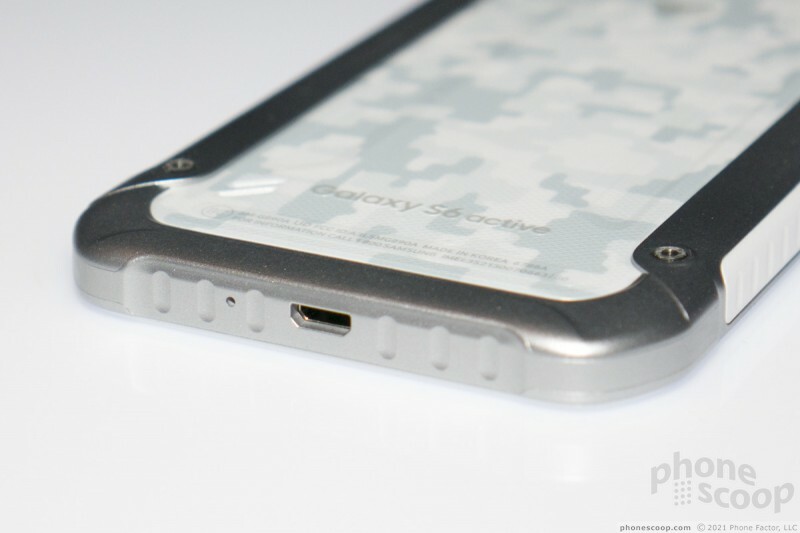 the good news is Samsung dramatically improved the battery from 2,600mAh to 3,500mAh. 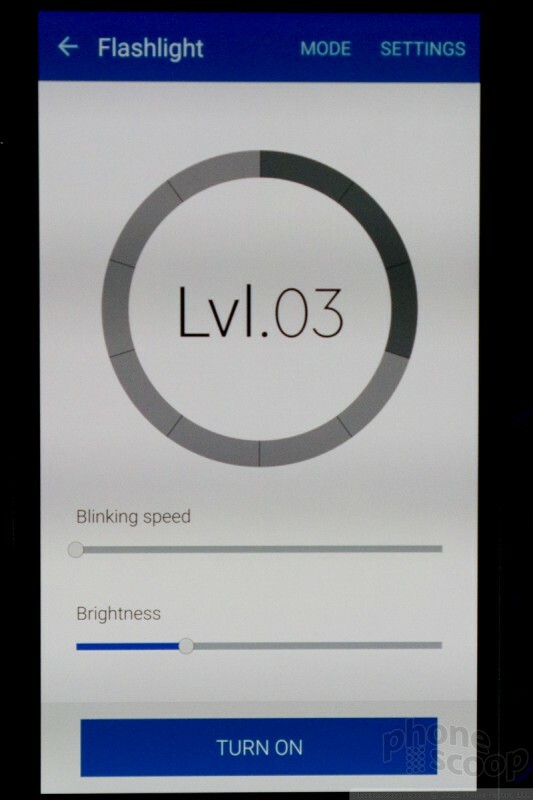 Samsung says the S6 Active should last much longer than the standard model, which is something I'm happy to hear about. If you were hoping Samsung might add a memory card slot, prepare thyself for disappointment. There ain't one. It comes with 32 GB of storage, which cannot be expanded. 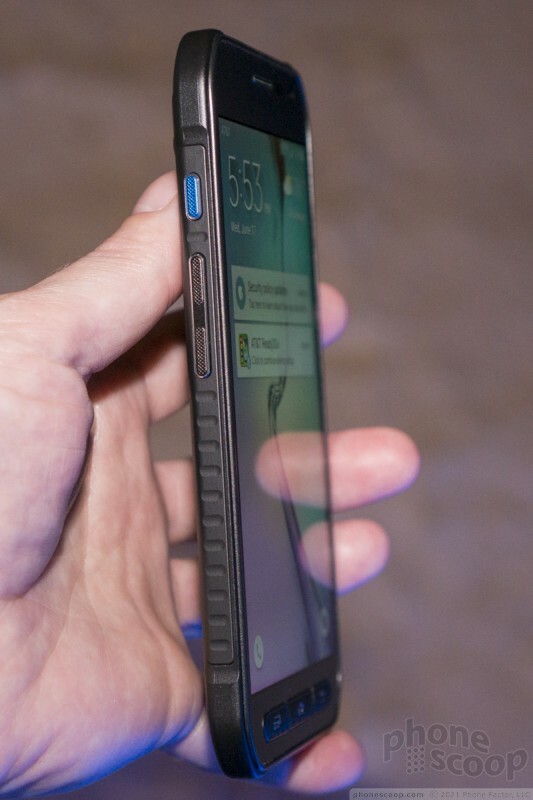 I rather like the design of the phone. 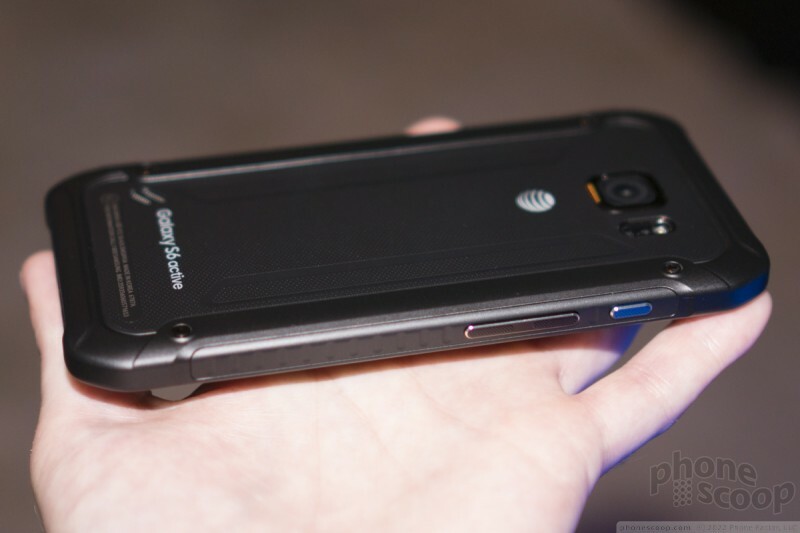 It doesn't have the sheer size that fully ruggedized handsets do. It is small and light enough that you can carry it around as your everyday phone with no trouble. You can stuff it into your pocket, but you'll know it's there. So, about the ruggedization. 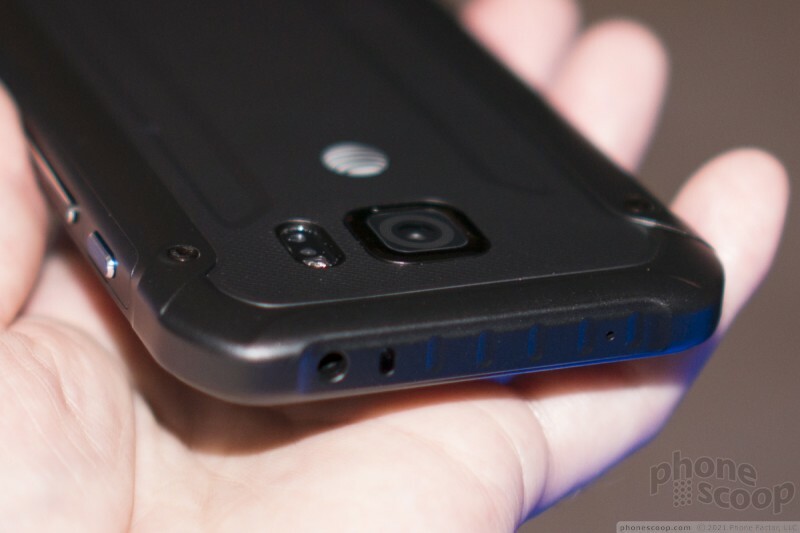 One of the best features of the S6 Active is that it loses the hatches. The previous model had hatches protecting the USB port to make it waterproof. 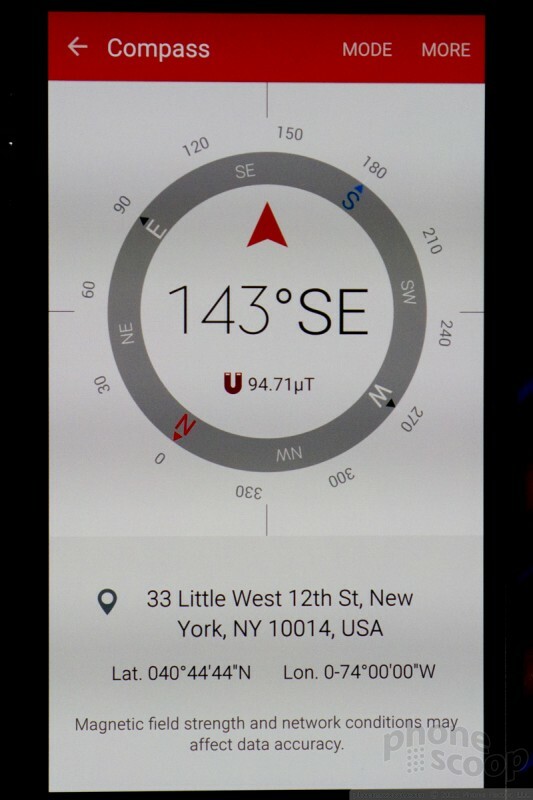 The S6 Active has no hatches at all. 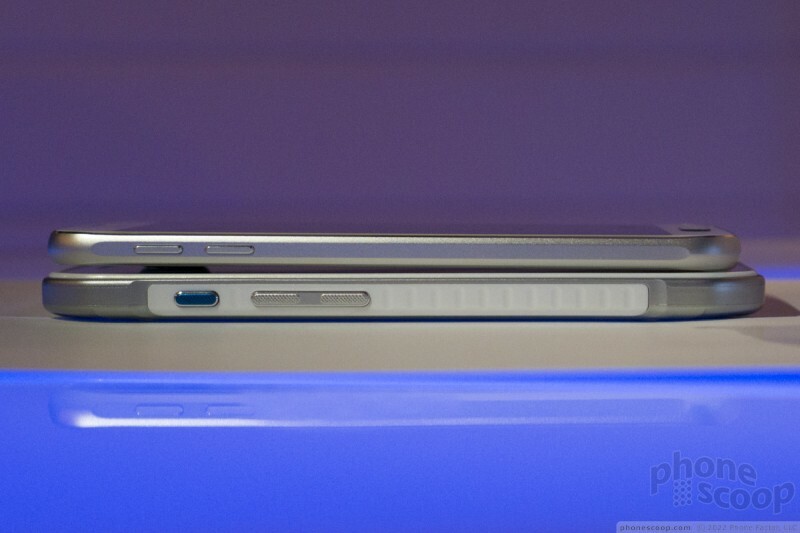 The USB port and headphone jack are exposed and yet still waterproof. Score. 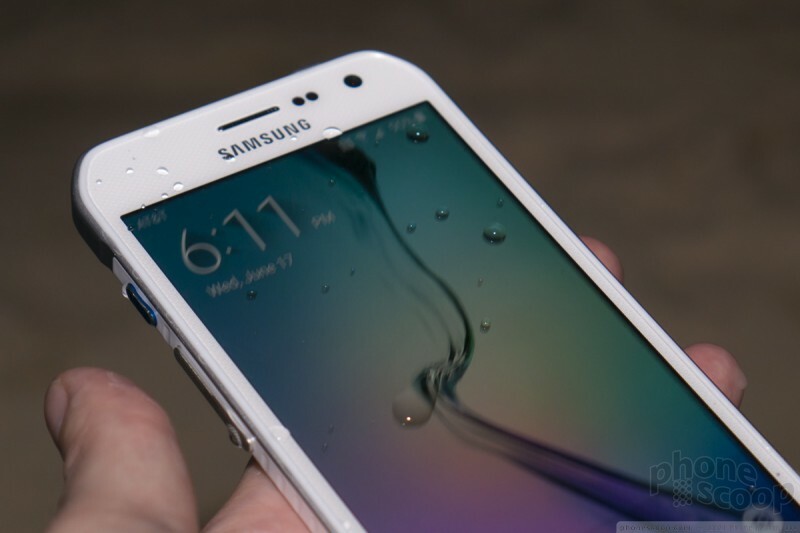 Samsung says the phone can hang out in 1.5 meters of water for up to 30 minutes. That's a bit deeper than last year's model. It is also rustproof, which means the S6 Active would be a great phone to take with you to the beach. 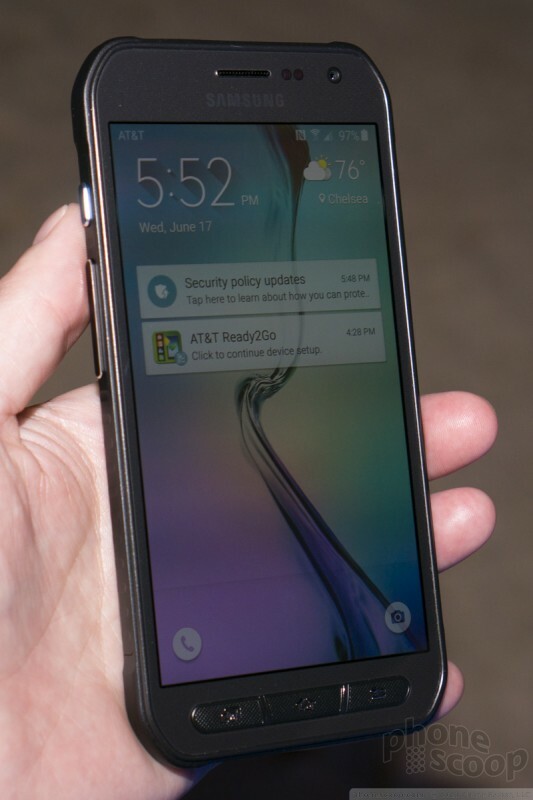 Beyond the physical, the S6 Active is identical to the regular S6. 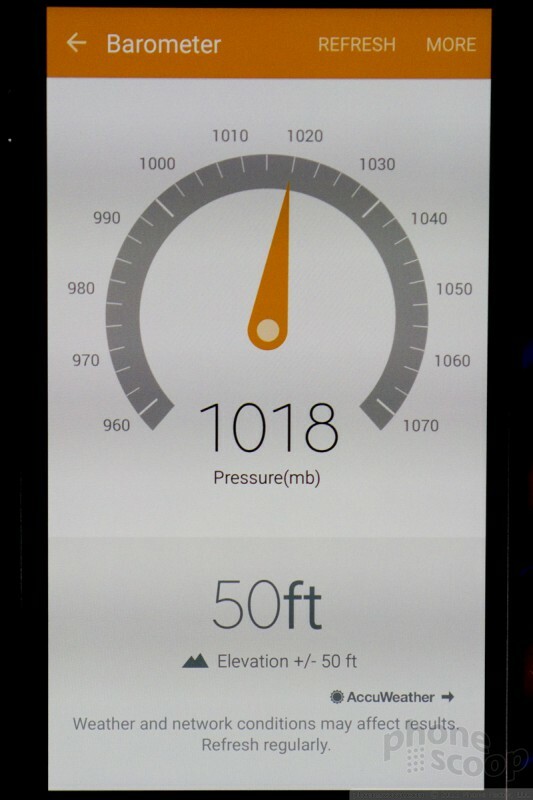 It has the same 5.2-inch quad HD screen, 16-megapixel camera, heart-rate monitor, processor, RAM, and so on. 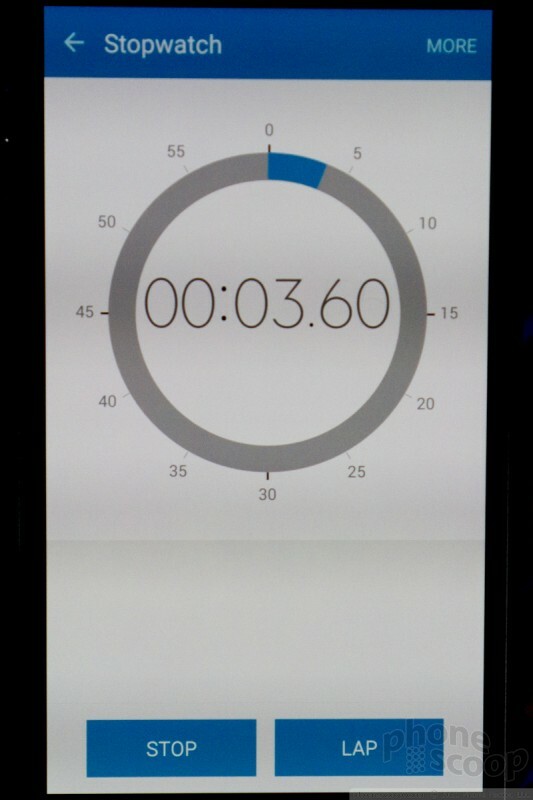 The screen looks great, the UI is the same old TouchWz-on-top-of-Lollipop, and the the phone performed quickly while we tested it. 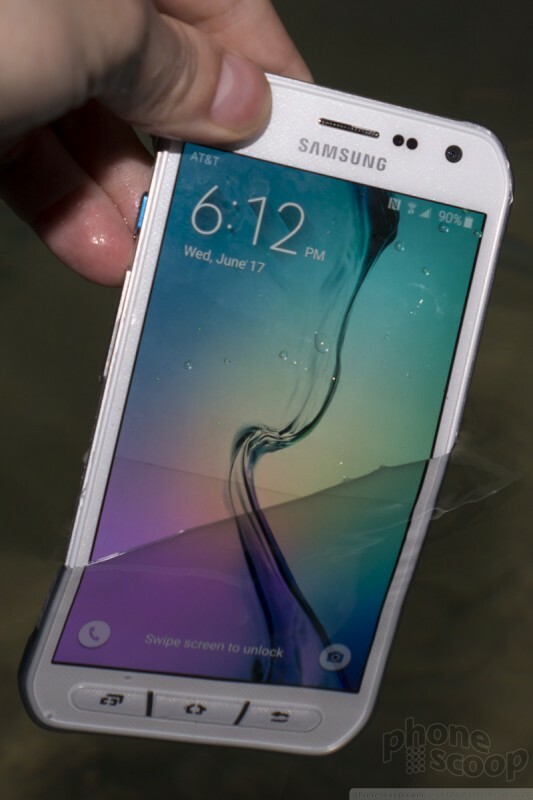 As much as I like the design of the Galaxy S6 and S6 Edge, the S6 Active is far more functional thanks to the protection from water and extended battery life. 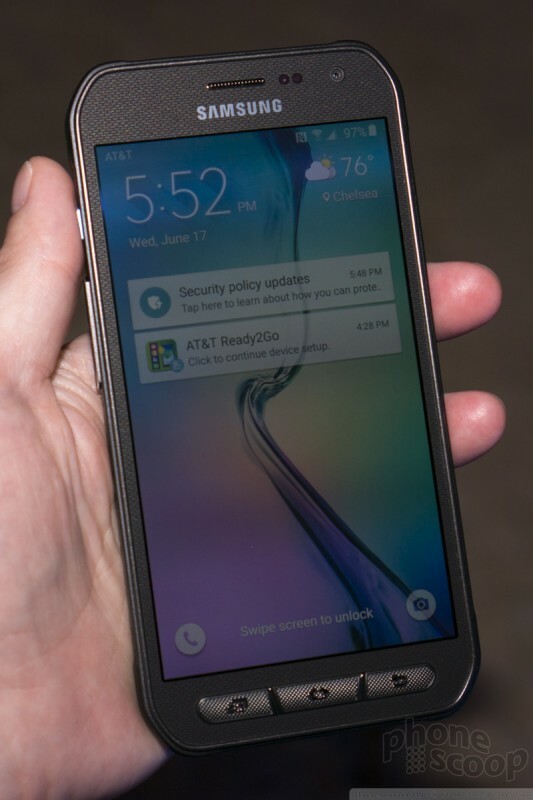 If you're even remotely active and apt to abuse your phone even a little, the S6 Active is a good investment. 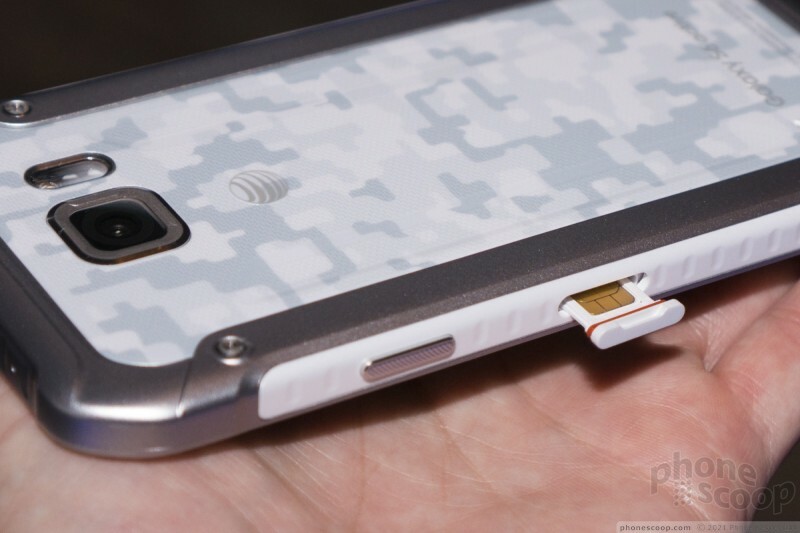 Samsung clad its flagship phone in hardier garb and called it the Galaxy S6 Active. This waterproof Android smartphone has several advantages over its more delicate siblings. No expansion and only 32gb?